Templeux-le-Guerard is a village 26 kilometres east of Peronne. 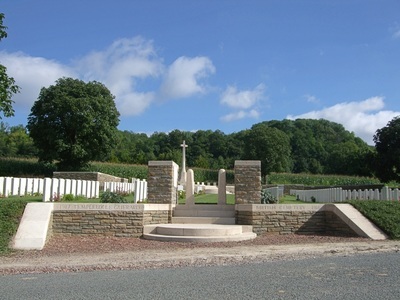 Templeux-le-Guerard British Cemetery is south-east of the village on the road to Haricourt. The village was taken early in April 1917, lost on the 21st March 1918, and retaken by the 15th Suffolks of the 74th (Yeomanry) Division on the following 18th September. 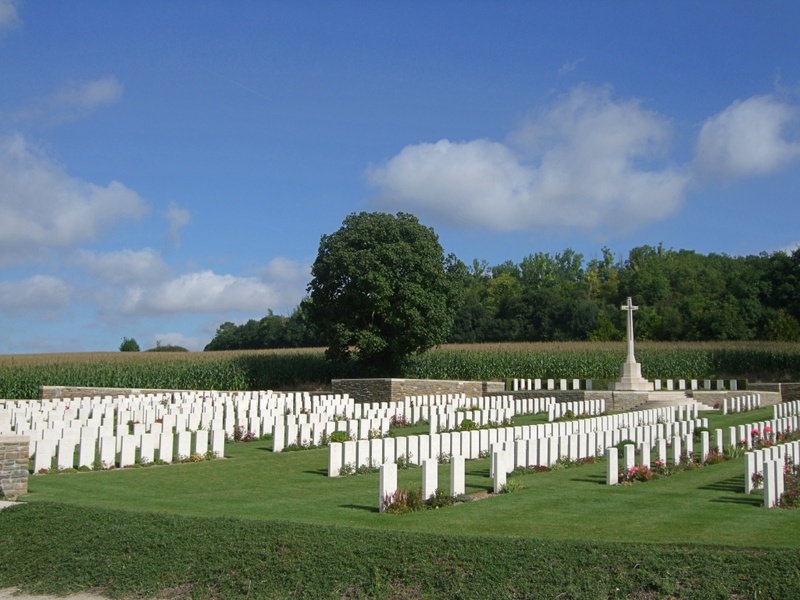 GOUY BRITISH CEMETERY (Aisne), was in the hamlet of Rue-Neuve (or Rue-du-Moulin), on the road from Gouy to Estrees. 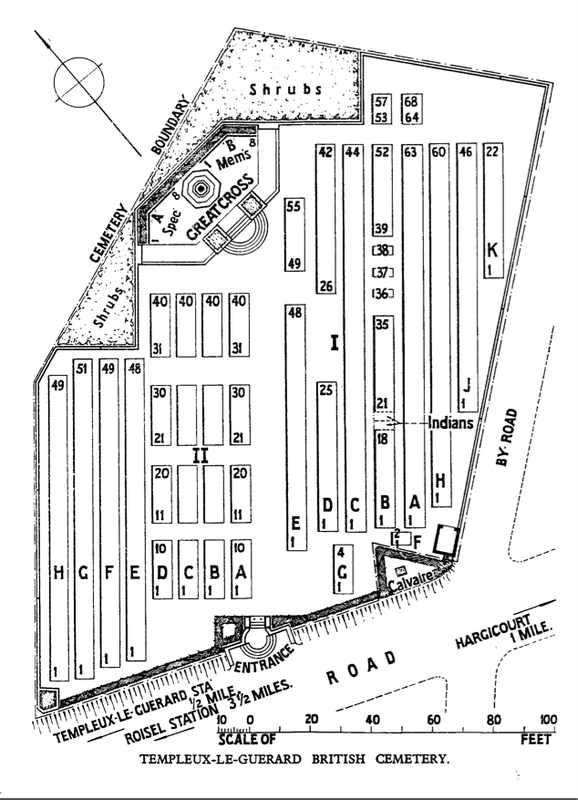 It stood in a paddock among pasture fields, close to a farmhouse. It was made by the 50th Division (as very recently reconstituted) in October 1918, and it contained the graves of 127 soldiers from the United Kingdom (almost all from that Division) and one from Australia; the dates of death were the 3rd-10th October, except for one soldier who died on the 18th. 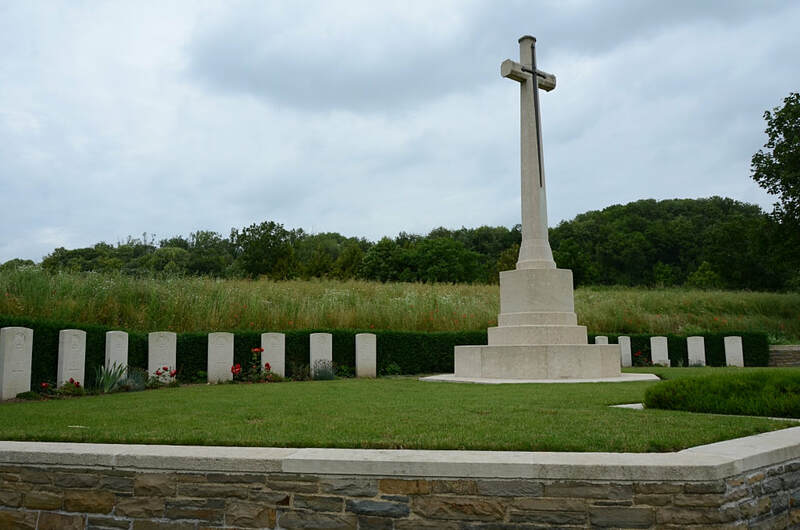 Le Catelet and Gouy were captured by the 50th Division on the 3rd October 1918. STE EMILIE BRITISH CEMETERY, VILLERS-FAUCON, stood in the grounds of the Chateau of Ste Emilie, between the house and the railway station. 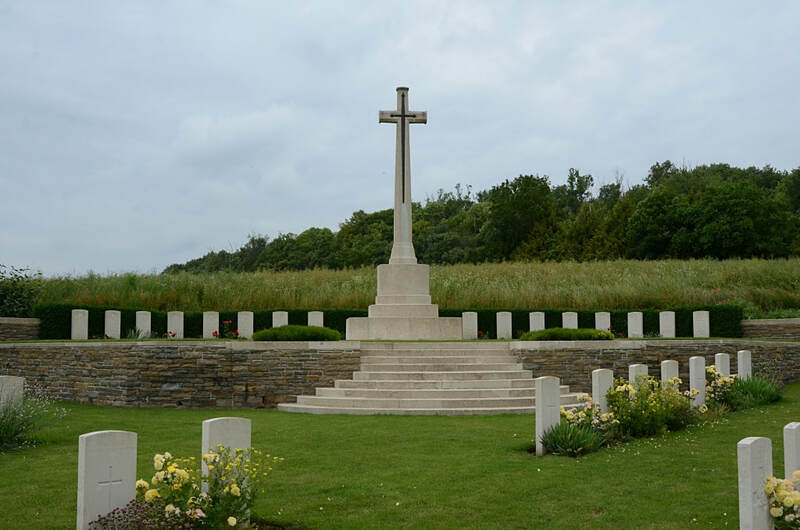 It was begun by the 42nd (East Lancashire) Division in May 1917, carried on by Cavalry and other units and Field Ambulances until March 1918, and used again by British and American troops in September-November 1918. It contained the graves of 196 United Kingdom soldiers, 108 American, 22 Australian and one South African (the American graves, mainly of the 107th and 108th Infantry Regiments, were removed to Somme American Cemetery, Bony, before 1922). The American 27th and 30th Divisions, with Australian troops, attacked and carried the Hindenburg Line, a little East of Ste Emilie, on the 27th-30th September 1918. There are now over 750, 1914-18 war casualties commemorated in this site. 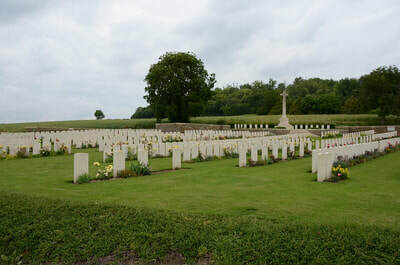 Of these, nearly a quarter are unidentified and special memorials are erected to 16 soldiers from the United Kingdom, known or believed to be buried among them. 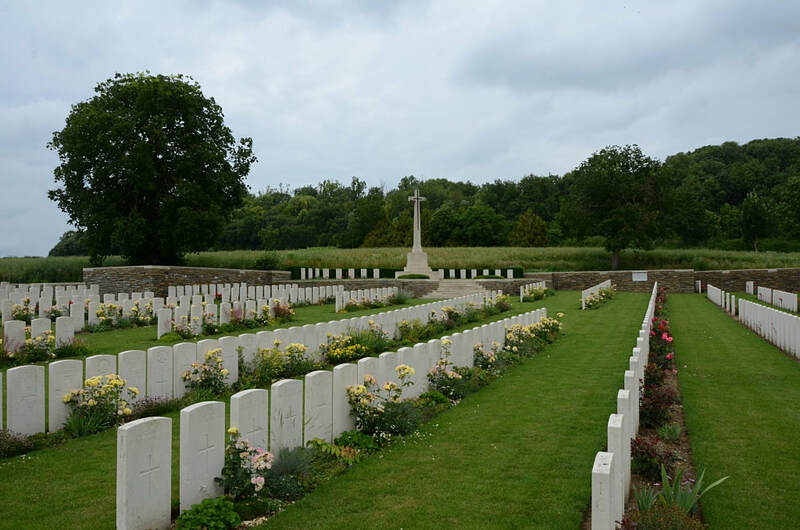 The irregular lettering of the Rows is due to the concentrations of graves carried out after the Armistice. 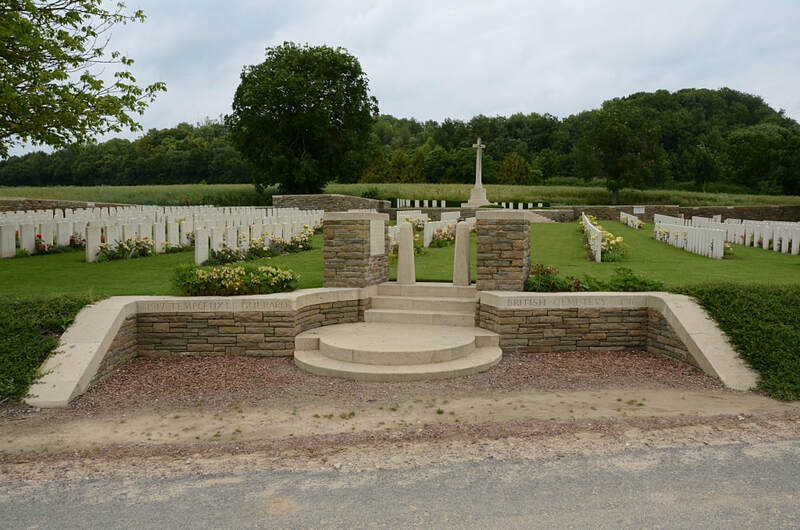 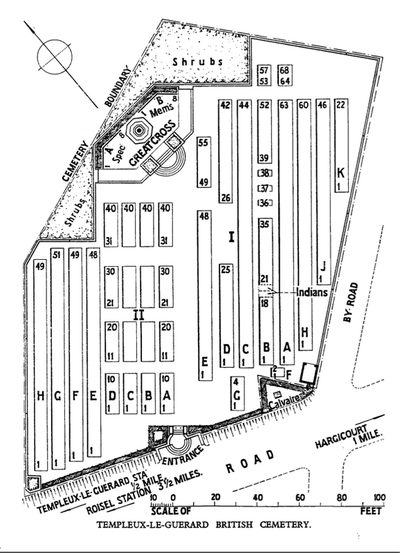 The cemetery covers an area of 2,509 square metres and is enclosed on three sides by a low rubble wall.